Keith M reported FUN conditions on the South Side yesterday down at Billy Mitchell Airfield beach access in Frisco. “Several good sandbars, dolphins, turtles, and clean warm water” were the key ingredients that made the day! Plus of course, sunny skies! Awesome time to be in Hatteras! Just back from a business trip up in DC. Missed a lot of recent action down in Hatteras primarily focused on light air SUP wavesailing. Looked like an awesome time for those down there who caught it! What a fantastic spot. After a great evening yesterday with Keith and Ken I just had to have another go on the other tack this morning. Same 4.7/122L SUP combo. Still big but easy and FUN on the outside will much longer set period. Huge lounge. Didn’t get denied a single time. The sea turtles are busy! I’ve seen at least one every sesh. 5 straight days of wave sailing!!!!!!!!!! Hatteras magic. Keith M sent over a few slide shows from the sessions! 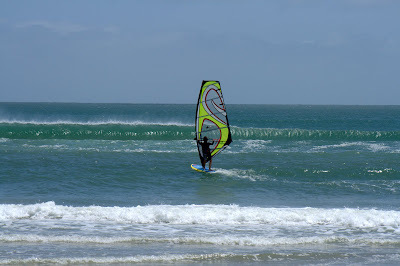 Awesome that windsurfing now has this opportunity to catch waves when winds are light! Additionally, here is a nice video produced by Micheal Wazenski from a windy wave sesh a few days ago at the Lighthouse! The introduction of Stand Up Paddle (SUP) boarding a few years ago enabled a new brand of enjoyment in the ocean as well as flat water. 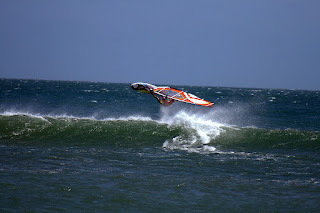 Similar to kiteboarding’s introduction a number of years earlier, both sports blossomed as new and, in many respects, “easier” introductions into active water sports. Over the past year or so, Light Air Wavesailing has hit the market and offers a new and easy method to catch waves with a windsurfing rig in hand. I have been a strong supporter of Light Air Wavesailing since my initial experiences with the AHD SeaLion during late summer 2010 and all of 2011. 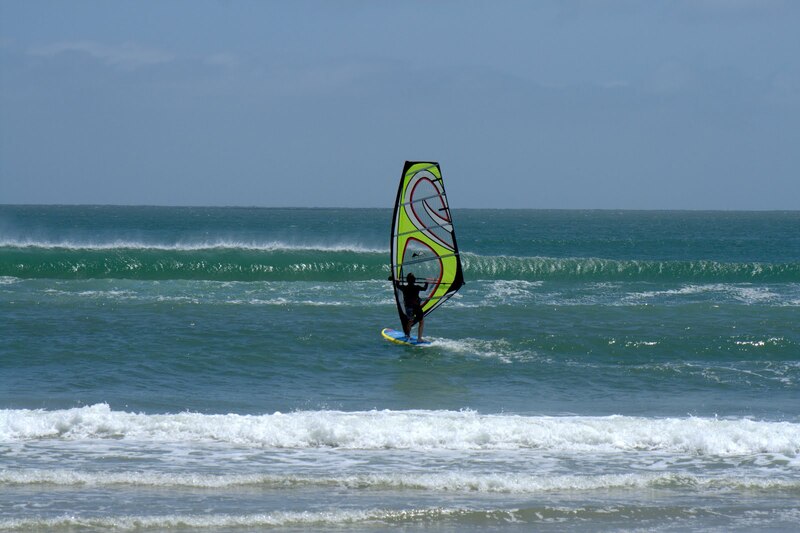 Blending an aggressive light air board design with a medium sized windsurfing sail has offered many more days of enjoyable time in the ocean, as compared to years past when I only had “regular” wave gear available. 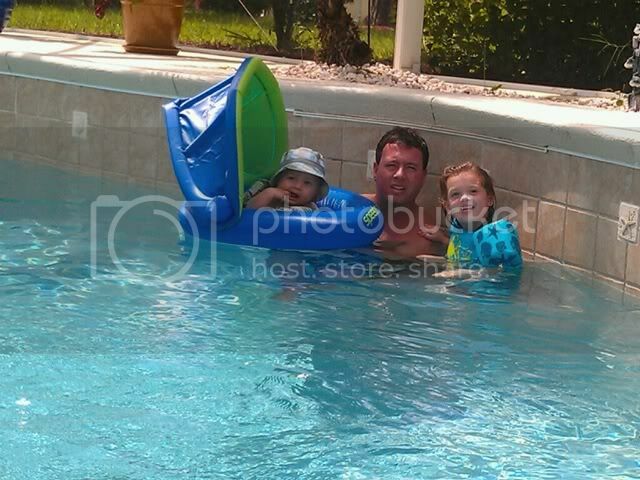 As a father of two, a full time job, and busy life schedule, my windsurfing time has taken a hit even while living in one of windsurfing’s world meccas. However, with the SeaLion and Light Air Wavesailing, many more opportunities are available to catch FUN surf and enjoy water time even with the scheduled needs of everyday life. Seems more and more people are discovering the FUN and ease of Light Air Wavesailing and it is great to see this new windsurfing discipline take shape. 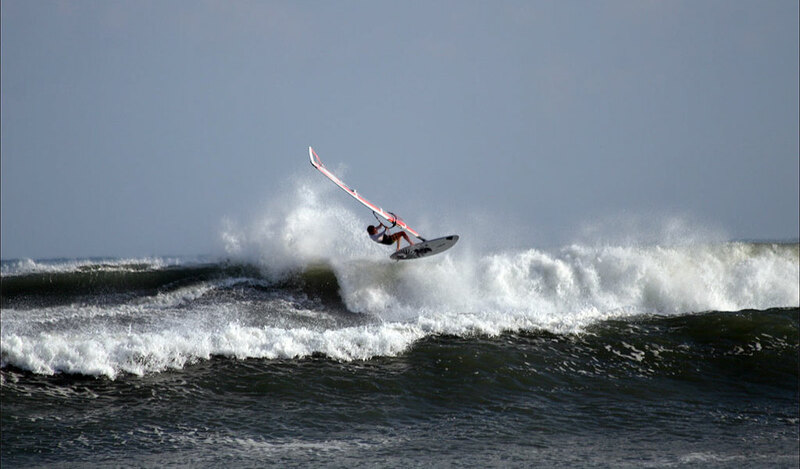 The US East Coast is perfect for Light Air Wavesailing from FL to Cape Cod and with the busy lives and limited water time we have, when you do make it out to the beach, why not have an option for when winds are side offshore at 10 knts and waves are breaking outside crumbly and fun! As with standard SUP and kitesurfing, perhaps Light Air Wavesailing may find greater niche as it blends “ease” of a stable windsurfing platform with the ability to get into the ocean on calm easy days with surf ranging knee high to as big as you want to try! 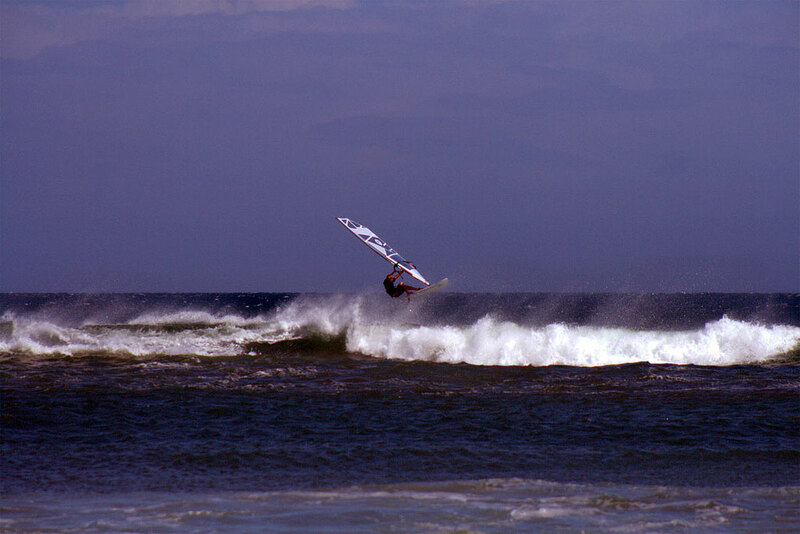 I would really enjoy seeing more people out on Light Air Wavesailing days. Beauty too is that if you are here on the OBX, from Corolla to Hatteras, anywhere it can be good if there is a nice outside sand bar and a side to side-off breeze. Anywhere there is a good sandbar can be a “popular” spot! If you are in Nags Head, come out and join me when I hit a sesh, as I often do during the summer months! Stay tuned to the OBX Beach Life forum for reports where to go as we usually post when we are about to hit the water! For those participating in the upcoming American Windsurfing Tour’s (AWT) Hatteras Wave Jam, we are now at 90 days until the only US East Coast stop on the Tour (Sept 12-15)! Three months of training remain to solidify your wave riding action as the best of the best visit the islands for a week of fun surf and wavesailing action! Definitely a Hatteras windsurfing event not to miss! Note, Stop Two on the Tour is set to begin in a few days at Pistol River, OR! Yesterday, the NE continued providing the famed “NE Wrap” of swell around Cape Point to allow surf to fill in on the south facing beaches of the OBX. Billy Mitchell Airfield (Ramp 49) has some excellent outside sandbars right now, and the setup yesterday provides for some literally beautiful waveasailing conditions. 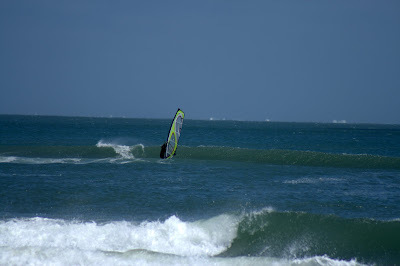 Perfect water, waves, wind all added up to a stellar session for those who caught it…, bummed, I missed it! Good news is that there will be a repeat today, and I will be down there!! FUN times here on the OBX right now, and you should be here!! 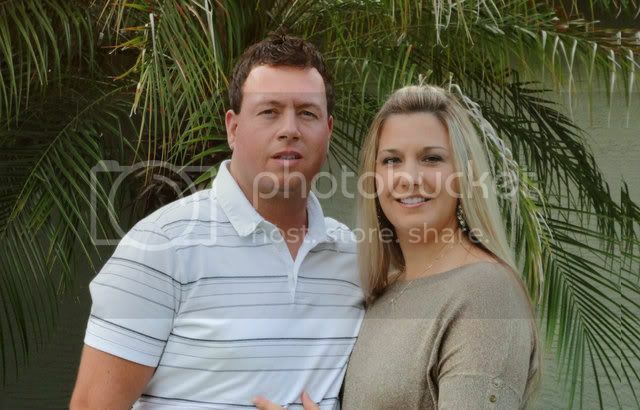 Brian and I enjoyed a nice evening out for my birthday this weekend. After having kids you forget what it’s like to have a 2 hour dinner, adult conversation and not worrying about chasing a toddler around.